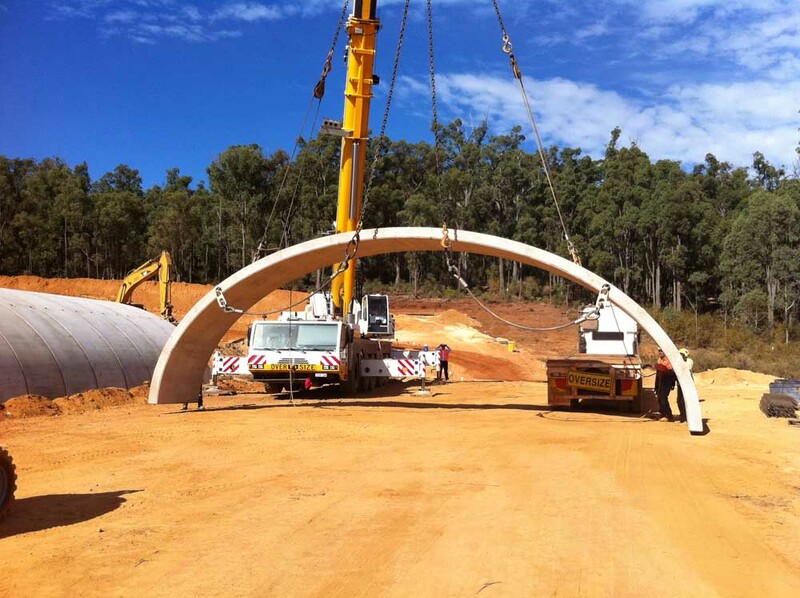 Industry leaders in precast erection, WA Universal Rigging & Cranes have completed hundreds of precast projects to Australian standards and Worksafe requirements. From project design and planning to erection and water proofing WA Universal Rigging & Cranes have the ability to meet any project requirements anywhere, anytime. Onsite, WA Universal Rigging & Cranes is a leader in precast and tilt lift installation. Utilising our own fleet, we are able to offer builders competitive rates on precast projects, satisfying safety, quality and time constraints. Our expert teams will arrive on site, set heights and install panels as per engineer’s specifications proficiently, allowing schedules to be maintained. We have invested heavily in temporary propping & bracing and engineer our own propping designs to remove this head ache from the client. We can perform full AutoCAD generated lift studies detailing locations of Tilt-up manufacturing stacks along with crane and logistics planning for precast delivered items. WA Universal Rigging & Cranes can offer its clients a complete supply an erect package for all precast installations. Utilising longstanding production partners, we are able to offer builders a complete package using one subcontractor to supply, transport and install your precast. We can tailor our service to your needs, meeting all quality and safety requirements on time and on budget. This offers our clients the ease of having one company to deal with from start to finish.